A generic drug is a medication created to be the same as an already marketed brand-name drug in dosage form, safety, strength, route of administration, quality, performance characteristics, and intended use. These similarities help to demonstrate bioequivalence, which means that a generic medicine works in the same way and provides the same clinical benefit as its brand-name version. Any generic medicine modeled after a brand-name medicine must perform the same in the body as the brand-name medicine. This standard applies to all generic medicines. A generic medicine is the same as a brand-name medicine in dosage, safety, effectiveness, strength, stability, and quality, as well as in the way it is taken and the way it should be used. Generic medicines use the same active ingredients as brand-name medicines and work the same way, so they have the same risks and benefits as the brand-name medicines. It is important to note that there will always be a slight, but not medically important, level of natural variability just as there is for one batch of brand-name medicine compared with the next batch of brand-name product. This variability can and does occur during manufacturing, for both brand-name and generic medicines. When a medicine, generic or brand-name, is mass produced, very small variations in purity, size, strength, and other parameters are permitted. Generic medicines and brand-name medicines share the same active ingredient, but other characteristics, such as colors and flavorings, that do not affect the performance, safety, or effectiveness of the generic medicine, may be different. Generic drugs may also have a different expiration date than brand-name drugs. But even so, the generic must keep its effectiveness until its expiration date, just like a brand-name product. Generic drugs also tend to cost less than their brand-name counterparts because generic drug applicants do not have to repeat animal and clinical (human) studies that were required of the brand-name medicines to demonstrate safety and effectiveness. This is why the application is called an “abbreviated new drug application.” This together with competition between the brand-name drug and multiple generic drugs, is a large part of the reason generic medicines cost much less. 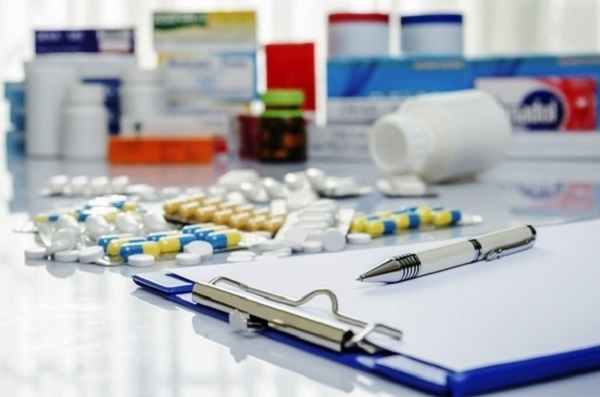 The reduction in upfront research costs means that, although generic medicines have the same therapeutic effect as their branded counterparts, they are typically sold at substantial discounts, an estimated 80 to 85% less, compared with the price of the brand-name medicine. Should we be taking Generic medication? Generics are not available for all medications. The best way to find out if a generic is available for a medication you are taking — and whether or not you should take it — is to ask your doctor and pharmacist. Some health insurance providers require you to use a generic drug, if available. If you choose to purchase the brand-name product, you may end up paying on your own or have a larger co-pay. Generally, your pharmacist can substitute a generic drug for a brand-name drug. If a generic is available, but for some reason your doctor thinks you should still take the brand-name drug, he’ll write “Do Not Substitute” on the prescription. If your pharmacist for some reason does not substitute a generic for a brand-name drug, you can ask your doctor to indicate on the prescription that substitutions are acceptable. That way, you can get the same drug for a lot less money. It can get confusing. Don’t be afraid to ask your pharmacist if the medication you received is the generic form of the medicine you are used to taking. Tell your doctor if you notice any change in your condition or have any unusual side effects when changing from a brand-name to a generic drug. The story of generics versus branded medicine being used to treat patients all over the world is not new. Many people become concerned because generic drugs are often substantially cheaper than the brand-name versions. They wonder if the quality and effectiveness have been compromised to make the less expensive products. The FDA (U.S. Food and Drug Administration) requires that generic drugs be as safe and effective as brand-name drugs. So there’s no truth in the myths that generic drugs are manufactured in poorer-quality facilities or are inferior in quality to brand-name drugs. The FDA applies the same standards for all drug manufacturing facilities, and many companies manufacture both brand-name and generic drugs. Another common misbelief is that generic drugs take longer to work. The FDA requires that generic drugs work as fast and as effectively as the original brand-name products. Sometimes, generic versions of a drug have different colors, flavors, or combinations of inactive ingredients than the original medications. Trademark laws in the United States do not allow the generic drugs to look exactly like the brand-name preparation, but the active ingredients must be the same in both preparations, ensuring that both have the same medicinal effects. While this is done in America when it will progress in India the poor shall be the greatest beneficiary of change. Anything for the poor is always a welcome idea but not at the cost of human health and survival. To compare American conditions with ours could be a naive if not disastrous idea sometimes. It is well known that American democracy is more than 260 years old. Unlike India, it attracts the best of the talents from the world, and the public is ruled by a set of governance with a minimal bureaucratic control. Contrary to that, we are a developing nation with a short history, and merit has very often than not been a casualty. While the perception of the decision is poor-centric, ultimately it is this class which bears the brunt of poor quality in a system dominated by rich and the powerful. While there is no denial of the fact that good quality generics are always comparable to the branded medicine, the quality of the product depends on the sophisticated processing and manufacturing of a research molecule. It is a global experience of the clinicians that the original molecules are more efficacious and have higher biological availability to act on the root of the disease process vis-à-vis those manufactured under different conditions and marketed after procuring licenses through dubious means. While in United States, there is a stringent quality control and a serious periodic monitoring of the quality, this is far from truth in India, where to get a drug license through political or bureaucratic connections by corrupt means is as easy as buying vegetables in the market. The drug control mechanisms in India have huge limitations both in terms of availability of manpower and technology. Rampant corruption in the system makes it worse. The other major limitation in our country is the non-availability of qualified pharmacist and dispensers on the medical shops. The pharmacies or the drug shops all across India are largely manned by unemployed and untrained youth or family members. The pharmacist by and large outsources his license and takes his commission out of the contract. Left to them, it could have very serious implications where the technical ingredients of which the dispenser is ignorant could be wrongly dispensed under the huge risk of allergies and side effects. Further, many drug formulations with combinations shall be difficult for the unqualified shopkeeper to deliver. With the mushrooming of pharmaceutical companies with incentives, the owner of the drug stores shall be least concerned with the quality of the drug. 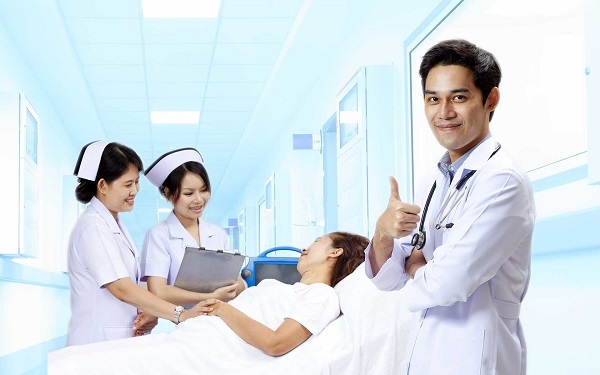 While it is true that some of the medical professionals have been hand-in-glove with the pharma companies and could have harmed patient interests, by and large a doctor would always like his patient to be cured and would prefer a quality medicine with good bioavailability for primary illness. He may be using certain adjuncts to benefit the company which could always be curtailed by a prescription auditing through the Medical Council. This would certainly be more preferred than leaving patients to the mercy of unqualified drug dispensers. Leaving it to the discretion of the pharmacist could be even more counterproductive. Chemists are unregulated and have no obligations, ethical or commercial for selling products. Regarding the drug pricing, the National Pharmaceutical Pricing Authority can always reduce the maximum retail price and leave very little room for manipulation by the pharmaceutical companies. 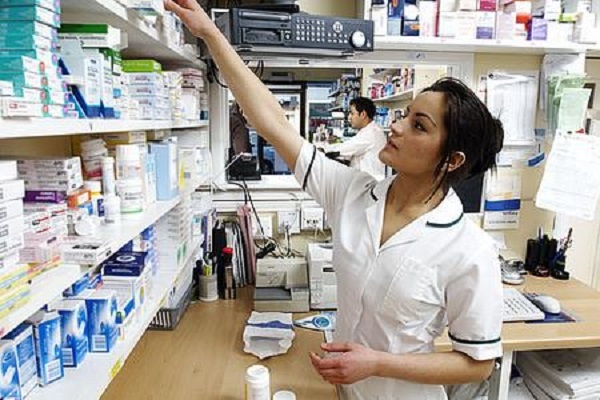 Government could also consider introducing uniform code of marketing for bringing down the cost of medicines. No medical professional would be against the low cost generic, provided it that is a quality drug but it is believed that not more than 1% of generic drugs sold in India undergo quality tests as practiced in USA or Europe. Ensuring availability of uniform quality of generic drugs would facilitate doctors to prescribe them with confidence. If this is ignored it is likely to create a disastrous situation for the common men where his suffering would increase if he is dispensed “cheaper” poor quality generics. The brunt would fall on the have-nots since, the affluent and the powerful would always manage the quality drugs either generic or branded. This has happened in the larger government institutions where the branded medicines were replaced by generics. Remember while comparing generics with the branded medicines, it is just not the content of the ingredient, it is the purity and the concentration producing effective biological levels in the blood. Another fallout of the proposed change would negatively incentivise pharma companies to invest in research and development. Not only will it create huge unemployment issues but will also greatly hamper creation of newer molecules. It is necessary for the concerned authorities to first set their house in order and create a local framework free of corrupt practices to provide quality in generic drug testing and also create stringent process of issuing licenses. Once this is available, the Generics would obviously be as good as the so called branded. Thus it would be a good situation for everyone. Awesome! Its in fact amazing paragraph, I have got much clear idea regarding from this piece of…..
Hi would you mind letting me know which webhost you’re working with? I’ve loaded your blog in 3 completely different internet browsers and I must say this blog loads a lot quicker then most. Can you recommend a good hosting provider at a honest price? Thanks a lot, I appreciate it! Here profit margin is minimum also most of the doctors are not favour generic medicines as their interest wiil be badly hampered, so the investors are least interested to open shops in the indian cities.The businessman wants at least 75% per month on their investment in medicine business.only way out the benevolent organisation can extend their hands to open some outlets in the major cities in india.